same animation team as the shins so says i video. Segment 4:"Headlights look like diamonds"
Segment 9:"Un anné sans lumière"
A performance video set to the studio version of The Arcade Fire's 'Wake Up', directed by Pete Ohs. this isn't a music promo. 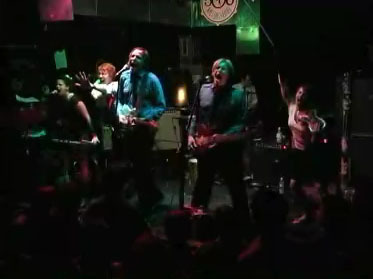 it's a video of the arcade fire playing live. produced or live, this is actually one of the more exciting things I've seen in a while.